Here are 2 of Landry’s most recent drawings. 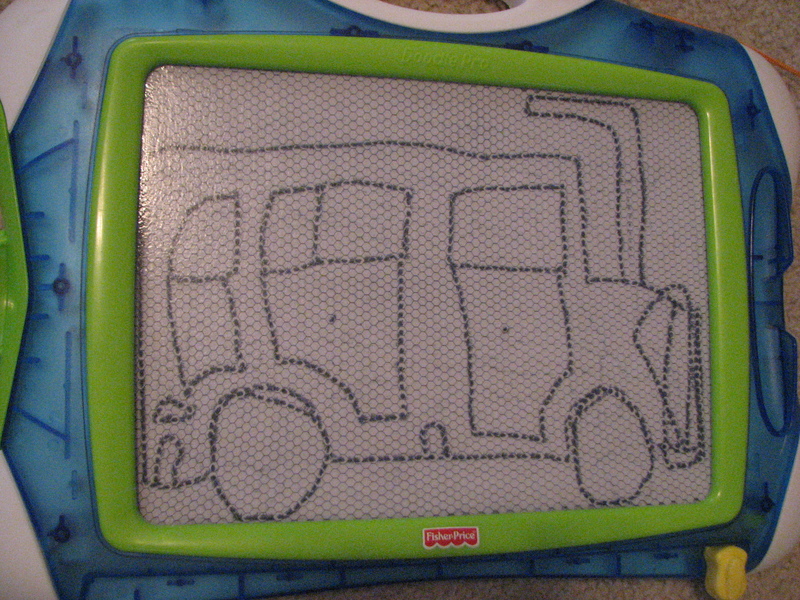 The first is a picture of our van that he drew this morning before church. 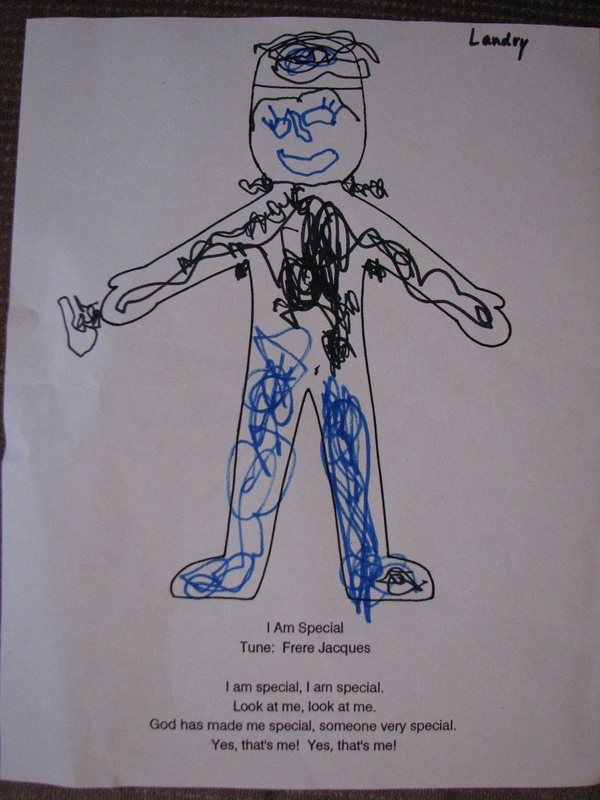 This one is a picture of himself that he colored in Sunday School. Notice the near perfect placement of the facial features, as well as the eyelashes. Not bad for a 3 1/2 year-old!! This entry was posted on Sunday, July 13th, 2008 at 1:04 pm and is filed under Uncategorized. You can follow any responses to this entry through the RSS 2.0 feed. You can leave a response, or trackback from your own site. I’m simply blown away by the intricacy of Landry’s drawing of himself! As a teacher and one who has worked with preschooler’s I can honestly say that I have never seen a 3-year old draw these kinds of details. I have seen many of Landry’s drawings and have been greatly surprised at how good they are, but this one has to be tops so far. I have to add to my note written at first that your bus picture is quite amazing, too. Even this picture looks more like one that an artistic 8-year old might have drawn (in my opinion, anyhow). Keep up the great drawing!